To see renderings of the proposed path, scroll through the gallery above. There is a massive problem if one attempts to bike the entire 52-mile length of the Los Angeles River—and it is an 8-mile problem to be specific: once you hit Downtown LA, the river is suddenly inaccessible via bike. Enter Yuval Bar-Zemer, an avid cyclist and a developer for Linear City—think the National Biscuits Lofts and 7+ Bridge in the LA Arts District—who has a penchant for rethinking existing infrastructure for the future. 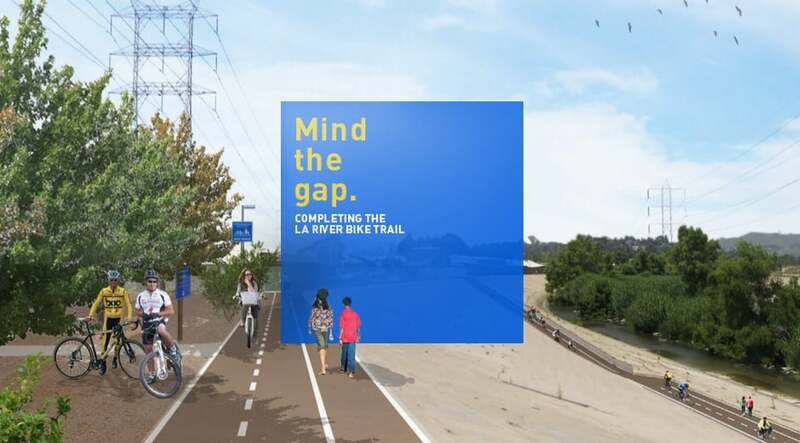 Together with the Friends of the LA River LA River Arts and Business Betterment Association, they all asked one simple question: how can we make this gap connected? LA County’s current network of paths. The question is a valid one given that the City of Los Angeles has vastly amped up its bicycle infrastructure: in 2010, the city’s Bike Plan opted to build a (very ambitious) new network of some 1,684 miles of bike paths within the city alone. And within Los Angeles’s city limits alone, the LA River corridor is home to some 1M people, 80 schools, and 35,000 businesses—making the connection all the more logical and reasonable. Bar-Zemer’s concept of building within the channel rather than alongside it is both simple and complex. After all—as the Army Corps, which has jurisdiction over certain areas of the river—there are issues in regard to reconfiguring water flow. No one would want to ride in water and no one wants to spend the massive amount of money reconfiguring the water flow. With his own money, he commissioned a study by Geosyntec, a specialized consulting and engineering firm that address precise issues such as the one brought up by Bar-Zemer. Their solution was brilliant simple: given that 360 days of the year, the water flow of the river along the 8-mile stretch doesn’t exceed 6 inches, if concrete panels 6-inches high were to be laid down in the channel, bicyclists would be comfortable every day of the year on the trail minus 5 days. Five points of access to the channel would be created: from the north, one at Riverside Drive; another at the Main Street Bridge; one at the 6th Street Bridge; one at the Washington Blvd. Bridge; and a final one at the south end at Atlantic Blvd. Creating ramps without affecting net volume of the river. In order to create seamless ramps from the top of the bank to the in-channel path at the bottom, an amount of construction is added equal to the amount of earth subtracted away, resulting in no change to the net volume of the channel. There are, of course, many obstacles. While the solution might be simple, the implementation is a bit more complex: given it’s not along a public right-of-way and spans three jurisdictions—the Army Corps (which has easement jurisdiction), LA County (south of Washington Boulevard), and the City of LA—all the agencies would have to work together to begin what Bar-Zemer estimates will be a $20M project. Bar-Zemer is currently working on getting a motion for both LA City Council and the LA County Board of Supervisors. It is hoped that between July and September, United States Army Corps of Engineers, the LA City Bureau of Engineering, the LA City Department of Water & Power, and the LA City Fire Department will all have preliminarily reviewed the plan.